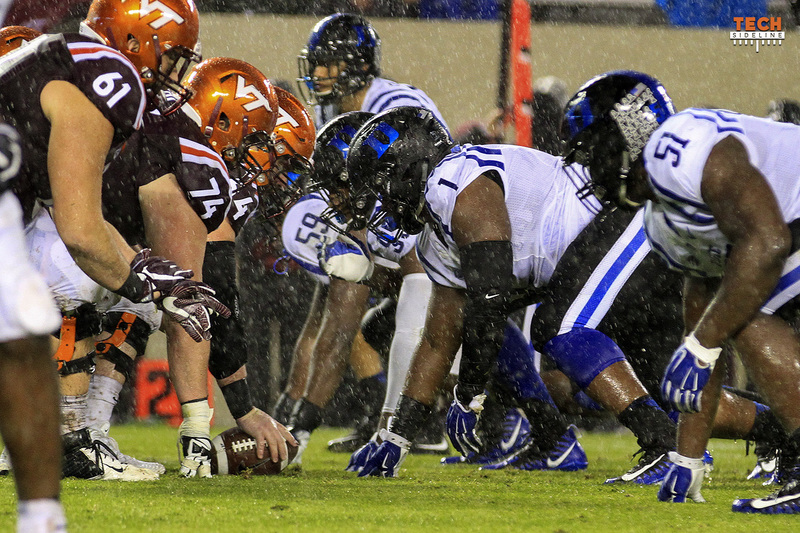 Virginia Tech easily dispatched Duke in a 24-3 win on Saturday night in Lane Stadium, and I find myself not wanting to talk about the game very much. I’d rather discuss some trends, and of course talk about next week’s big matchup against Miami. In my Friday Q&A, I said that I didn’t think the weather on Saturday night was going to be very bad. I was completely right for the first half, and completely wrong in the second half. It started pouring down in the third quarter, and it didn’t let up. When the clouds opened, the Hokies were up 17-3, which is exactly where you want to be when playing in that kind of weather. Once the rains came, it was very unlikely that quarterback Daniel Jones was going to be able to rally the Blue Devils.